Compile has officially announced that Mary Skelter 2 is coming to the PlayStation 4. This coming after a leak of a dummy packaging from last month. Mary Skelter 2 will include numerous improvements over the first game and will also include a full remake of the first game. The remake will have all of the improvements featured in the sequel. The latest entry in the Mary Skelter series debuts on PlayStation 4! Mary Skelter: Nightmares is a 3D dungeon RPG released for PS Vita on October 13, 2016. 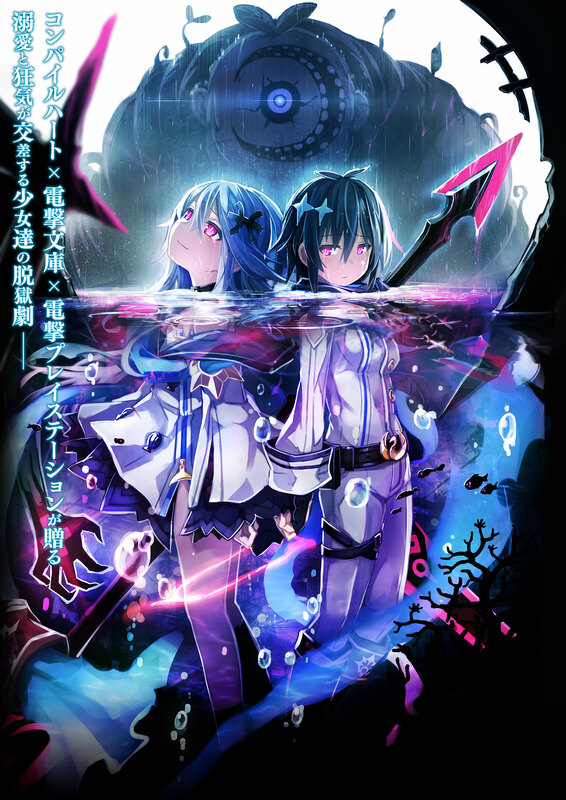 A collaboration between Compile Heart, Dengeki Bunko, and Dengeki PlayStation, Mary Skelter was developed into three different forms of media—game, novel, and magazine—where all of the stories connect. In Mary Skelter 2, those properties will be further strengthened, and it will feature a previously untold story swirling with madness, as well as powered up blood systems. Mary Skelter 2 includes a full remake of the original Mary Skelter: Nightmares. The adjustments applied to Mary Skelter 2 are reflected in the remake of Mary Skelter: Nightmares, making it even more enjoyable. Dungeon Map Size Adjustments – The size of dungeon maps have been slightly adjusted from the original game. “Automatic Feature” Added to Jail Roulette – After receiving feedback that the Jail Roulette system sometimes obstructs the battle tempo, a setting to turn Manual and Automatic either on or off has been added. Two Times the Balance Adjustment Period – In order to balance the game and make it more enjoyable, more than twice the amount of balance adjustment time has been taken over the original game. Two Times the Debug Work Period – In order to eliminate problems such as the many bugs that appeared in the original game, more than twice the amount of debugging has been done over the original game. Various Features Added to the Warehouse – Various features have been added to the warehouse, including: a sort function, the ability to use gift items without change in the warehouse, and materials necessary for quests are counted in the warehouse. Quest System Enhancements – The quest system, which gave off a plain feeling, has been enhanced. Jail Roulette Entries Renewal and “Growth Area” System Changes – Jail Roulette entries have been renewed as to further enjoy the nature of the game. Additionally, the conditions for the appearance of “Growth Areas” have changed. Rather than by luck, Growth Areas can be unlocked during standard play. Display Method of the Jail’s Mood Changed – The display method of the Jail’s mood has changed to a notification message that automatically pops up. Other significant revisions have been applied based on user feedback. The opening theme song, “Witchcraft <>,” is sung by Earphones, written and composed by J.A. Seazer, and arranged by J.A. Seazer and A_kira. The ending theme song, “Mirai Dorobou,” is sung by Earphones, and written, composed, and arranged by Rui & Rolly. Mary Skelter 2 will launch on June 28 in Japan. The standard edition will cost 7,776 yen, the download edition will cost 6,912 yen, and the limited edition will cost 10,476 yen. Pre-orders will include an illustration card with a product code to download a love visual novel game called Rengokuto Mary Skelter (Love Prison Tower Mary Skelter). It will be fully voiced, have new newly illustrated character poses and event CG, and exclusive music. There are no plans to release it as a standalone title. Visit the teaser website here. You can check out the teaser trailer for the game below. There are two versions, the first is the teaser trailer that includes the game’s opening. The second trailer is a standalone one without the game’s opening. The first game in the series, Mary Skelter: Nightmares, released in Japan on October 13, 2016 for the PlayStation Vita. Idea Factory International released the game in North America and Europe in September 2017.